Is 'Red at Night' Truly Sailor's Delight? Weather lore has been around for ages, since people needed to forecast the weather in order to plan their activities and effectively do their job. This rhyme was even mentioned by Jesus in the Bible, in Matthew 16:2-3: “He answered and said unto them, ‘When it is evening, ye say, It will be fair weather: for the sky is red. And in the morning, It will be foul weather today: for the sky is red and lowering.’” Shakespeare even referenced it in his play Venus and Adonis. “Like a red morn that ever yet betokened, Wreck to the seaman, tempest to the field, Sorrow to the shepherds, woe unto the birds, Gusts and foul fawn to herdman and the herds.” These are some powerful references to the validity of this saying, but is there scientific validity to this proverb? In order to answer that question, we have to understand why we are seeing the red in the first place. Light from the sun is made up of all the colors in the rainbow, which correspond to different wavelengths of radiation. The blues are made up of short wavelengths and the reds are of longer wavelengths. This is why the sky is blue when the sun is high in the sky, and more yellow or red when it is lower in the sky. 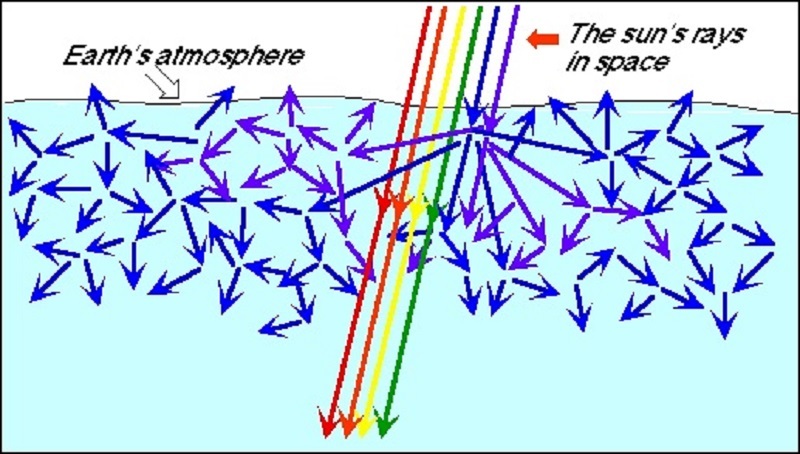 How light is scattered is also dependent upon how clean or dirty the atmosphere is, since air molecules and dust/dirt/aerosols all scatter light differently. Air molecules scatter shorter wavelengths more efficiently, which is why on clear days the sky is a light blue. 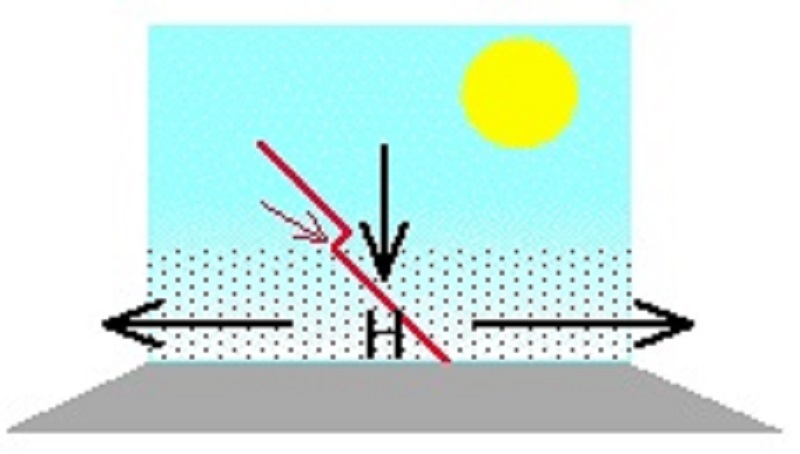 Dust or aerosols scatter the longer (red) wavelengths more efficiently, and most of that light is scattered in the direction in which the light is moving. These longer wavelengths are also viewed during sunrises and sunsets, due to the long path the sun’s rays have to travel through the atmosphere – scattering these longer waves because they encounter much more aerosols and dust on their journey toward Earth. Therefore, sunlight travelling through a long path of a dirty atmosphere at sunrise or sunset is made up or primarily the reddish wavelengths when it reaches the observer. A cleaner atmosphere at sunrise or sunset is colored by a mixture of all but the blue colors, giving it a more yellowish appearance. 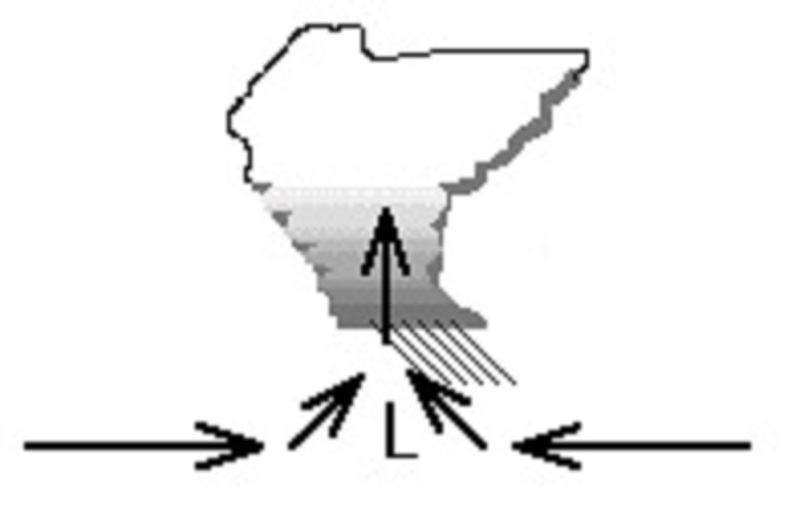 High and low pressures are synonymous with sunny and stormy weather patterns. That is due to air converging at these low pressure centers and causing upward motion that produces clouds and precipitation. High pressure is just the opposite, where we have downward motion that keeps skies sunny and cloudless. This downward motion keeps dirty air that contain suspensions of soot, dust, and aerosols trapped near the ground surface. Weather systems normally travel from west to east across the mid-latitudes (30°-60° latitude) in the northern and southern hemisphere. 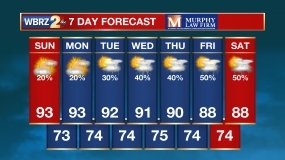 That means that in the morning, the sunset is illuminating the weather pattern that has most recently passed and in the evening it is illuminating the weather system that is on its way toward you. If the sunset or sunrise is red, then high pressure is in the direction you are looking, since high pressure keeps dust and aerosols close to the ground surface and in the lower part of the atmosphere. ‘Red at night’ indicated that high pressure is to your west and that it should be sunny tomorrow – ‘Sailor’s Delight’. ‘Red in the morning’ means that high pressure is to the east, likely moving out of the area as a low pressure system and rainy conditions moves in – ‘Sailor’s Warning’. So this old weather saying usually does hold true, but not necessarily all the time. It only works in the belt of the westerlies, from between 30 degrees to 60 degrees latitude in both the northern and southern hemispheres. The region 30 degrees on either side of the equator is characterized by easterlies (trade winds), which the opposite would hold true as weather usually tracks east to west. This is why hurricanes travel west across the Central Atlantic until crossing north of the 30th parallel. There are also instances where weather patterns (pressure systems) do not travel west to east, but instead south to north, in which the proverb would also not hold true since the sunset/sunrise would not illuminate a system moving into or out of the region.